And A Player To Be Named Later: Sheff Special? 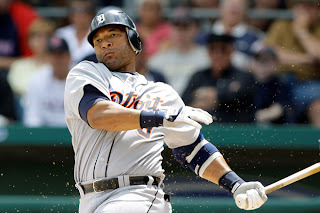 Does Gary Sheffield Get Into The Hall of Fame? Sheff Special? 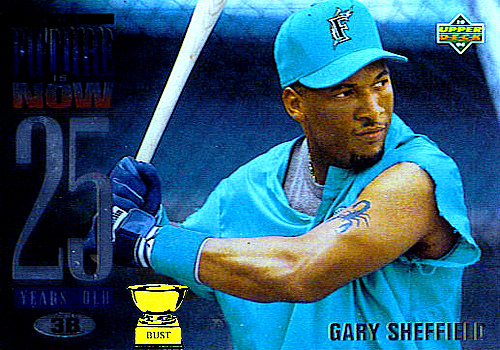 Does Gary Sheffield Get Into The Hall of Fame? Since he announced his retirement, there have been a slew of articles debating whether Gary Sheffield deserves to be enshrined in the Hall of Fame. And perhaps no other potential candidate has brought such a polarizing argument with him to this question. Sheffield, you loved him or hated him. But as for his qualifications for Cooperstown, let’s take an in-depth look. First, he has some really nice numbers. He has 509 HRs, 9 above the standard cut-off line for HOF consideration. He has a lifetime slugging percentage of .514. His 4737 total bases are good for 27th all-time. His 1676 RBIs are good for 25th all-time. On the other hand, he never won the MVP. He won a batting title once. Sheffield was an All-Star 9 times. By comparison, the 3 people Baseball-Reference compares him to the most, Reggie Jackson, Frank Robinson and Mel Ott, each earned 14, 14 and 11 All-Star appearances, respectively. His contemporary Ken Griffey went 13 times. And after 22 seasons, his lifetime WAR of 63.3 puts him behind Reggie Smith, Bobby Grinch and Kenny Lofton. And unlike other all-time greats, Sheff showed up small when it mattered most. 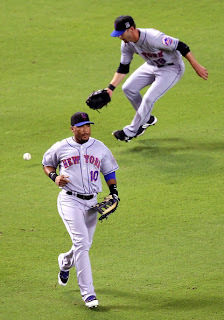 In 202 postseason at bats, Sheff had a .248 BA and a .398 slugging percentage. 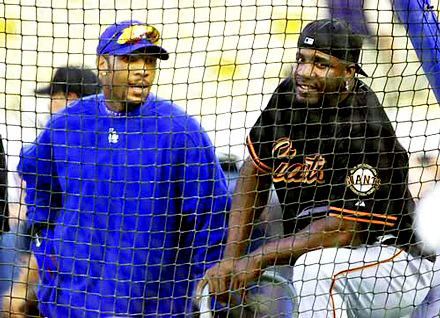 Mr. October, in contrast, had a .278 BA and a .528 slugging percentage; Griffey; .290 and .590; Ott, .295 and .525. A lot of guys, Sheffield included, would say regarding the Hall, “Look at the numbers.” Howard Medgal, for instance, makes the case that Sheffield’s numbers make him Hall-worthy. Harmon Killebrew, Frank Robinson are both worthy comparisons, he says. And that’s fine, but just comparing numbers is also reductive. Numbers don’t exist in a vacuum and have to be considered in the context of how they were achieved. Harmon Killebrew hit 573 HRs in an era where 32 HRs in a season might make you league leader. Are 500 home runs now the same as it was in the 60s? Is Ken Boyer winning the MVP in 1964 with a .295 batting average, 24 HRs and a .489 slugging (basically Robby Ventura’s 1995 season—no MVP votes) the same as it is now, with Josh Hamilton earning the award last year with a .359 BA, 32 HRs in 133 games and a .633 slugging percentage. Would you weigh them the same? Of course not. You need the context of a player’s career to judge them. So...how did Sheff achieve his numbers? Let’s see how by taking a look Sheffield’s career and how his numbers/play how helped the team he was on. A good comparison to start with might be Reggie Jackson. Reggie himself was a flamboyant character who moved around from team to team. But when Jackson moved to a new team, what happened? He brought championships with him. As “the straw that stirs the drink,” Reggie won 5 World Championships and 6 pennants. In Jackson’s first real year as an Athletic, the A’s won 20 more games than the previous year. His first year as a Yankee the Yankees won the World Series. His first year as an Angel, the team went from 5th to first place and a playoff berth. Further, Jackson batted a preposterous .357 and slugged .755 in 27 World Series games and had a postseason career average of .278 with a .527 slugging percentage. As stated previously, Sheff batted .248 with a .398 slugging percentage in the postseason. Sheff’s play in the postseason does not represent his finest hours. Jackson led the league in home runs 4 times to Sheffield’s 0. Jackson led the league in adjusted OPS+ 4 times to Sheffield’s once. Jackson led the league in extra base hits and adjusted batting wins twice. Never for Gary. Mr. October was larger than life and the Hall was an obvious destination for him. So how about a contemporary of Sheffield’s—where the context of numbers would share common ground? Ken Griffey made the postseason 4 times during his career—including late in his career, when injuries had made him an empty shell of himself. Still, in those 4 series, Griffey slugged .580 and batted .290. During his career, Griffey was an MVP (Sheffield never was), a 13-time All-Star (to Sheffield’s 9), a 10-time Golden Glove (Sheffield never won one), led the league in WAR twice (Sheffield never did that), led the league in total bases twice (to Sheffield’s once) and led the league 4 times in home runs (Sheffield never did that, either). Also, during his injury-plagued career, Griffey topped 40 HRs 7 times, including 50 twice. Sheff only hit the 40-mark twice. How about another contemporary? Alex Rodriguez is a 3-time MVP, a 13-time all-star, has 2 Gold Gloves, led the league in WAR 6 times, led the league in total bases 4 times and led the league in HRs 5 times. Gary...well, didn’t. OK, so let’s not just take Sheffield’s number flatly, but consider how he earned them. For instance, Sheffield’s 9 All-Star years? Two times were when he was with the power-hitting Yankees in 2004 and 2005, with A-Rod and Hideki Matsui batting directly behind him, protecting him (A-Rod was MVP in 2005, Matsui a 2004 all-star). One was when he was with Atlanta, the best hitting club in the NL that year—with a .286 club BA—and with Chipper and Andruw Jones behind him. In 1992, Sheffield’s first all-star appearance, he had Fred McGriff and his 35 HRs batting behind him. With the Dodgers, Sheffield was protected by Eric Karros (33 HRs), Raul Mondesi (34 HRs) and Shawn Greene (44 HRS). Sheffield’s 1996 season was genuinely great, even with Jeff Conine behind him with his 26 HRs. Who protected Adrian Gonzalez last year—Scott Hairston? Who’s protected Shin-Soo Choo the past 2 years when he was 9th and 5th in adjusted OPS+? Point being, Sheffield was a violent fastball hitter, and had a lot of protection over the years. Do the math...Sheff saw a lot of fastballs around the strike zone. Not that he wasn’t a great hitter, but the fact that he needed protection, and relied on other hitters, is not something entirely worthy of a Hall of Famer. Batting 3rd, where he mostly did for his career, Sheffield had a .530 slugging percentage and a 297 BA. But drop Sheffield down to 5th in the order, where he would be less protected by a good batter behind him, and his slugging percentage drops to .406 and his BA drops to .263. Again, by comparison, Alex Rodriguez has a .602 slugging percentage batting 3rd, and when he drops to 5th in the order, where he would be less protected, his slugging percentage rises to .641. The same goes for the guy baseball-reference.com says is the best comparison to Sheffield, Mel Ott. Ott’s slugging percentage rises from a .532 when he bats 3rd (.307 BA) to a .555 batting 5th (.313 BA). Reggie Jackson’s average does drop 18 points when moved from 3rd to 5th, but his slugging percentage only dips to .476. Same thing for Adrian Gonzalez. Batting third his numbers are: .279 BA, .502 slugging. batting down at 5th, his numbers are: .313, and .552. Now, often batters with less protection have their numbers go down. But a guy who was supposed to be one of the best of his generation—”the best player on every team he played on” (Sheffield actually said this; more on this later)—shouldn’t be a guy so dependent on protection in the lineup. He’s the guy who—no matter what, no matter where—is supposed to produce. How about the question of is he a leader? Did Sheffield lead his team to victories, championships? Was he a winner? For all of Sheffield’s excellent numbers, his career never really amounted to increased wins. In Milwaukee, in San Diego, throughout his career, Sheffield’s presence brought either a reduced amount of wins, or a generally flat team record from the year before. Medgal then states, “But let’s not mistake him for a player who prevented his team from winning. Sheffield played for the 1997 World Series champion Florida Marlins, then made five straight postseasons with Atlanta and New York from 2002-2006.” But is Sheffield really to credit for that? In point of fact, the year they won the championship, the Marlins owed less of the thanks to Sheffield—Sheff only batted .250 and hit only 21 HRS in 133 games their World Series year, and his slugging percentage dropped 150 points from the previous year—than they did to the players they rented to win it all—Moises Alou, Alex Fernandez, Bobby Bonilla, Kevin Brown. Both Moises Alou and Charles Johnson were All-Stars that season and got MVP consideration, Sheffield didn’t. Sheff’s time with subsequent teams followed a pattern—brought in to great fanfare, some nice numbers, no championships, and a hoopla of controversy and a one-way ticket out of town...ASAP. 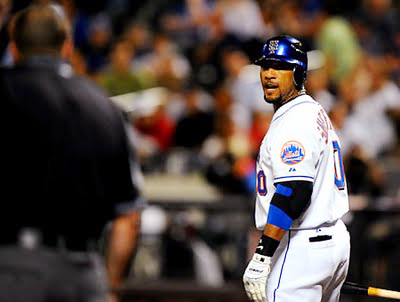 In fact, the most curious aspect as we analyze Gary Sheffield’s career is that, for a player with potential Hall of Fame credentials, Sheffield was traded 5 times, and played for a total of 8 teams in a 22-year career (one every 2.75 seasons). Unusual to say the least for one of the move “among the best players of his era and among arguably the best of all time.” While most HOF players are considered precious and too valuable to let go and don’t, if ever—Frank Thomas, Derek Jeter, Chipper Jones, Craig Biggio, Ken Griffey, Albert Pujols—Gary was moved/let go often. Very often. And anyone who knows baseball knows why Sheffield was moved so often—and the reason he is such a polarizing figure in the sport—his attitude as a ball player and as a teammate. Sheff played hard when he wanted to. And when he did it was exactly one way: hard. Headstrong, more MMA fighter than baseball player, his swing shouted, “I’m going to crush everything.” And Sheffield was never one to adjust his game at all. If a pitcher was throwing soft, hard, curves, 4-seamers, knucklers...whatever—Sheff swung the same—absurdly hard. No adjustment. Ever. Sheff just didn’t believe in adjustments. It was the same with his fielding. For example, say, Carl Crawford was on 2nd base and a grounder made its way to Sheff out in right field. No matter what—hell, high water, locusts...Sheff would throw home to try to get the fastest man in baseball out, the batter moving to second be damned. And it was this attitude—the Sheff gotta take care of Sheff first, the team later (“If I don’t take care of myself, who will?”)—that drove him out of a lot of towns. Put it this way—consider who Gary Sheffield was traded for by the Dodgers, when he was at the peak of his career: the immortal trio of Andrew Brown, Brian Jordan and Odalis Perez. How about the trade that sent him from the Yankees to the Tigers—look at the haul the Yankees got for Sheffield: Kevin Whelan, Anthony Claggett and Humberto Sanchez. This from a potential Hall of Famer while he was still playing well? Clearly these were teams that wanted Sheffield to leave, no matter what numbers he was putting up. To compare, the controversial, loud and oft-complaining Reggie Jackson was traded only once—by the A’s notoriously cheap owner Charles Finley. The A’s in 2004 retired Reggie’s number. How many teams will retire Sheffield’s? Probably not too many, at least not those who have halfway-decent memories. For example, in Milwaukee, as a 20-year-old, Sheffield complained that the team wouldn’t move him to shortstop because of racial reasons—the Brewers shortstop at the time was white. He eventually wanted to leave Milwaukee and to do so, Sheffield became a clubhouse cancer, criticizing the organization and his teammates and even committing intentional errors until eventually he was traded. As a Dodger, Sheffield again criticized teammates and management—including accusations of racism—until he was traded. As a Yankee, Sheffield decided he didn’t want to play first base and wanted to go back to right field which was being manned by Bobby Abreu. He stated publicly that he was better than Abreu and complained until the Yankees traded him to Detroit. Then, on March 31, 2009, the Tigers—despite owing him $14M—released Sheffield. After signing with the Mets at 40 years old—and playing pretty decently—Sheffield asked first for a contract extension (which was denied), then to be released or traded to a playoff contender (which was also denied). So Sheffield [deleted because “left” here echoes “leaving” later in sentence] decided to tell the Mets that he was leaving the team, and after sitting out a game suddenly had a rash of injuries forcing him to miss many games. This event—the pouting about not getting a new contract mid-season—is essentially a rerun of how Sheffield’s tenure ended in L.A. and Atlanta. Well, I’d be interested in how Robin Yount, Tony Gwynn, Chipper Jones, Tom Glavine, Greg Maddux, John Smoltz, Alex Rodriguez, Derek Jeter, Mariano Rivera, Miguel Cabrera and Justin Verlander, among others, would respond to the “best player on every team I played on” comment. And putting aside the fact that Sammy Sosa, Big Papi, Frank Thomas, Barry Larkin, Carl Crawford and Jimmy Rollins were all poster boys for their respective teams and that the San Francisco Bay Area practically foamed at the mouth with love for Barry Bonds, the simple and obvious reason that Sheffield isn’t poster boy was because he never tried to be one. Confrontational, rage-filled and brandishing a me-first personality with pride, is it really any wonder why the Marlins might want to promote Jeff Conine over Gary Sheffield? You write a vivid account of your workout with Barry Bonds and your link to the steroids controversy. You have said that you never knowingly took steroids. But while working out with Bonds after the 2001 season, you wrote that you received some cream from his trainer Greg Anderson -- which you applied to some busted stitches -- and you also took some vitamins from Bonds, who got them from Anderson, who got them from BALCO head Victor Conte. Later, you made a check out to BALCO, linking you to this scandal forever. For the record, were those substances -- the vitamins and cream -- tainted? And if not, how can you be sure? I know they weren’t tainted. Tell me how rubbing something on me will make you feel any different? That’s the most preposterous thing I’ve ever heard. Tell me this: Have you ever gone to a store and had a steroid-based cream put on you? OK then, so are you on steroids? OK, that’s my point. If it’s that simple, why do I have to debate this with anyone? Sheffield’s medical acumen aside, the debate continues to this day about whether Bonds, Sheffield or indeed any ballplayer who claims ignorance in taking steroids is telling the truth. So did Sheffield consciously take performance-enhancing drugs. Impossible to know. What is known is that the odor of steroid use is going to waft around Sheffield for all time. And perhaps severely damage his chances of Hall of Fame inclusion. All these facts, figures and stories add up to this: Sheffield’s numbers are barely borderline Hall of Fame worthy. Ignore the Frank Robinson comparisons; Sheffield played in the juiced ball and juiced athlete era when pitchers ERA’s were almost 2 runs a game higher than when Robinson played. And yes, while those numbers are good, real good, taken in a larger context—and if the Hall of Fame doesn’t deserve a larger context, what does—do they make it? And yes, the Hall of Fame has taken in some jerks before, but in every case, they don’t amount to Sheffield. Ty Cobb was a total jackass, but even in his final year of playing, when his skills had diminished at 41, he batted .323. Steve Carlton was a racist and a jerk but won 329 games and was the Cy Young 4 times. Rogers Hornsby’s own teammates hated him, but the man batted over .400 3 times and had a lifetime .358 BA. Mickey Mantle was a lush and womanizer but won the Triple Crown, has a lifetime OBS of .977, has a career adjusted OPS+ of 172 (6th all-time) and he’s frickin Mickey Mantle. Sheff is not in the same universe as those guys. As the saying goes, “It Ain’t the Hall of Very Good.” And Sheff was very good. But in my eyes, to be a Hall of Famer, you have to not just be good, but for your generation, you have to be the game. You have to represent your era, and have your contemporaries define how good they are by comparing themselves to you. You have to be the game of baseball for the people watching in that era. In my eyes, Sheffield doesn’t even define any of the teams he was on. San Diego? Tony Gwynn. Atlanta? Andruw Jones and Greg Maddux and Chipper. Yankees? Jeter, Rivera. So I end on one question. If a player is traded 5 times by teams who figure that they would be better off without him, how could he be held up as one of the all-time greats? And ultimately he was always kind of an a-hole to the media, and fans.That will play a big part in it, whether the press will admit it or not. Itransformed his game loved to watch sheff rope doubles off the wall. He ripped the ball when he guessed right. Although I don't like to agree with Tim McCarver, he was absolutely right about Sheff all along...he was a feast or famine hitter who gave no thought to situational hitting. Man on second with no outs, sheff would pop up. One ball two strikes, sheff would take a huge cut and whiff. Let's not fotget that sheff came up as a middle infielder. Roids obviously transformed his game. No hall for him. Is Cam Newton Really A Number 1 Pick?